Check out Tobi's Kalea Ribbed Crop Top Just another crop top? Think again. 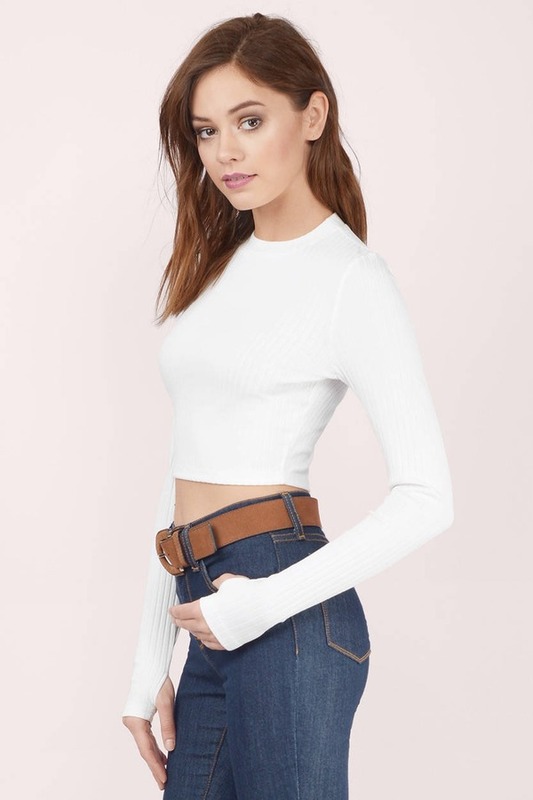 The Kalea Ribbed Crop top is a stretchy rib-knit crop top that features cool thumb-hole details that add a touch of edge. Style with high waisted jeans and a moto jacket. Just another crop top? Think again. The Kalea Ribbed Crop top is a stretchy rib-knit crop top that features cool thumb-hole details that add a touch of edge. Style with high waisted jeans and a moto jacket. Model's profile: height 5' 10", bust 32", waist 24", hips 34"